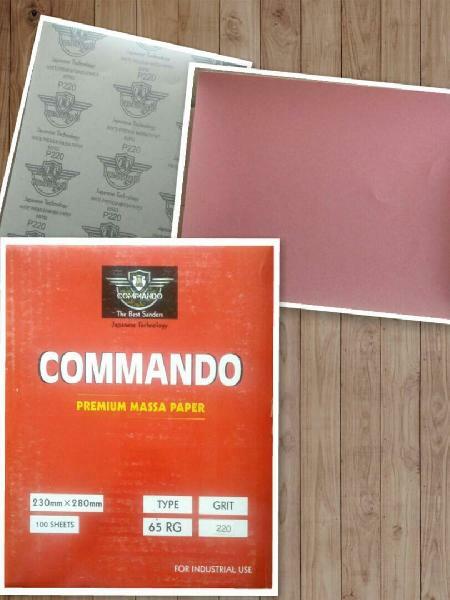 Our Premium Massa Abrasive paper 65 RG is used in dry applications. It is specially used in wood, glass, wall, wall putty & decorative. It is a very high quality product, which can be matched with any top products available. Kraft Paper Backing in Yellow colour with AiO grain in red Colour.